Thus far in December we’ve published three new papers, three reviews, and an Antipode lecture. Abstract: North American food scholars, activists and policymakers often consider how to make a community food project more inclusive to “vulnerable populations” to increase participation in local food efforts. Drawing from qualitative research conducted with two community food organizations in Seattle, Washington, I argue that inclusive efforts are not addressing the power asymmetries present in organizations and within communities. Engaging with black geographies literature, I reveal how a black food justice organization grapples with violent histories of slavery and dispossession rooted in a black farming imaginary, and works to re-envision this imaginary to one of power and transformation. The spatial imaginaries and spaces of each food organization acknowledge racial histories differentially, informing their activism. Black geographies possess knowledge and spatial politics that can revitalize community food movements, and I consider how white food activists might reframe their work so that their efforts are not fueling the displacement of residents of color. Abstract: This paper utilizes the introduction of bus rapid transit (BRT) in South Africa to unravel the role of South–South connections in local policymaking. While the South African systems are unmistakably modeled after Bogotá’s Transmilenio, whose accomplishments have been touted as the low-cost, high-quality transport solution, the process through which other Southern cities influenced the circulation of BRT remains underexplored. In so doing, this paper asks how and why certain cities are brought into conversation with one another and what happens as a result? This analysis suggests that policy circulation is never a rational survey of best practices but a political process through which policymakers select their sites of learning in accordance with wider aspirations, ideologies and positioning. Illustrating the way in which policymakers deploy different meanings of the global South and their position within this construct to justify local policy decisions adds a critical dimension to understandings of policy mobilities. Abstract: In the spring of 2012, students in Quebec went on strike against a proposed 75% increase in university tuition and the further privatization of education that it signaled. The strike lasted 6 months and repeatedly mobilized hundreds of thousands of students and supporters in collective action. Emphasizing the “broader dreams of a student movement now sparking the popular imagination”, some activists began calling for a “rêve général illimité” (unlimited general dream). This article brings together scholarship on creative tactics and the role of space in protest to analyze a range of imaginative and affective interventions as well as the debates that emerged concerning their role within the movement. I argue that creative tactics intervened in how space and time were constructed by altering the relationships amongst private and public space. As a result, responsibilities were redistributed and time typically consecrated to the pursuit of private ends was redeployed during the Quebec student strike, broadening participation and generating public spaces where care was collectivized. Abstract: My argument is that the state is fundamental to the value form because it delivers the use values of non-human nature to the process of capital accumulation. Capital cannot, and historically does not, capture non-human nature without the participation of the state. The state delivers the utilities of extra-human nature to the accumulation process by creating property regimes, physical infrastructure, and scientific knowledge. As such, the state is a crucial under-theorized political membrane in the ecological metabolism of capitalism and the value form. The capitalist states inherently environmental qualities are rooted in its fundamentally territorial qualities. Where are the utilities of non-human nature found? On the surface of the earth. What institutions ultimately control the surface of the earth? Territorially defined national states. The example of state formation in the early years of the United States is used to illustrate these ideas. 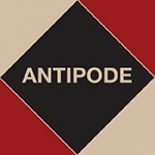 The 2013 Antipode AAG Lecture is freely available, without a subscription; you can watch a video of the original presentation online. New reviews – including one of Deborah Cowen’s new book – and articles from Antipode. The Christian Parenti piece is open access, as are all the reviews. 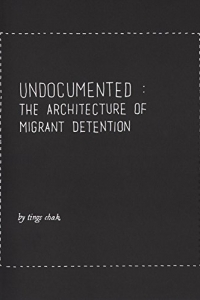 This entry was posted on 19 December 2014 by Antipode Editorial Office in News and tagged activist art, architecture, black geographies, bus rapid transit, capital accumulation, Capitalism, commodities, community organising, comparative research, detention, displacement, environmental justice, food justice, logistics, markets, migration, Nature, protest tactics, public space, Quebec, race, South Africa, South America, student movements, territory, the military, the state, urban policy mobilities, value.